Michael Evenick is a personal trainer that can get you the physical results you are looking for. He is the sole operator of Transformations Personal Training Tampa and is known as one of the elite trainers in the bay area. He not only knows his stuff but has the results to prove it as a Mr Great Lakes, Mr Buffalo, Mr USA and third runner up in the National Teenage Bodybuilding Championships. Throughout the course of his career, Michael has helped hundreds of clients reach their fitness goals whether it is to lose weight, increase performance on the field, tone muscles, recover from injury or prepare for bodybuilding competition. 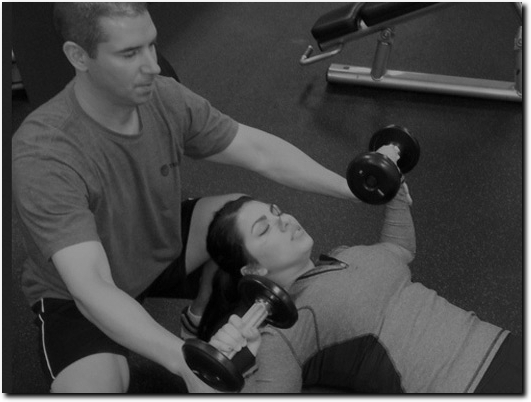 Each client is given a unique training regimine and diet plan that will help them reach their goals. Not only will you benefit from Michael's vast weightlifting experience but will also receive the motivation and encouragement you are seeking. At Transformations Personal Training you can sign up for as few as five sessions that are offered in a one on one or small group setting. Sessions are held in a gym or in your home on Monday-Friday between 7am-7pm. All potential clients are welcome to a free consultation and fitness evaluation to see if Michael is the right trainer for them. US (Tampa, FL) based business - with over 30 years' experience - providing personal trainer services. Website includes details of services provided, certifications, associations, detailed "meet the team" page, full contact details.